Kemmlit were specified by David Chipperfield Architects. 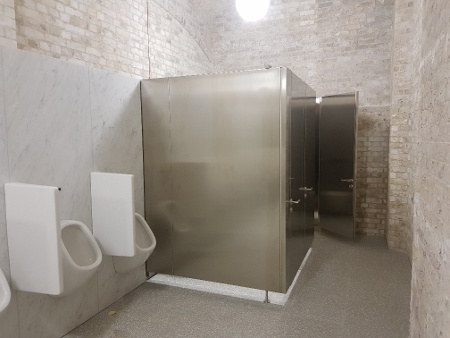 The RAA were very specific in their desire to have a unique and innovative washroom using the small space provided but in keeping with the raw and modern style. 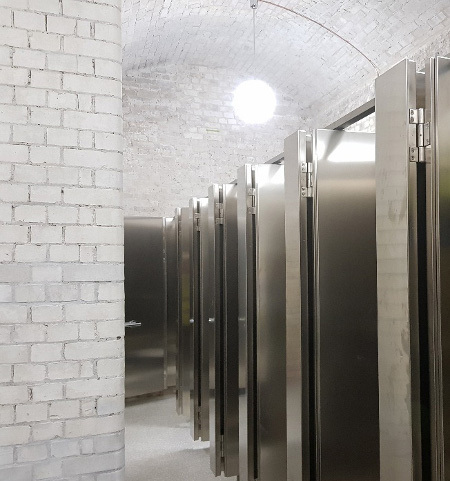 They were heavily involved in this project being such a prestigious venue with the intent on upkeeping their design trends within the washrooms. The client was very specific about flush lines and lots of steel. Our Cell Cubicke is perfect as it is already a design classic in it's own right! Timelessly elegant and straight-lined. The smooth-surfaced front with welted doors, concealed edges and supporting legs produces a sophisticated design that appears to float above the ground. 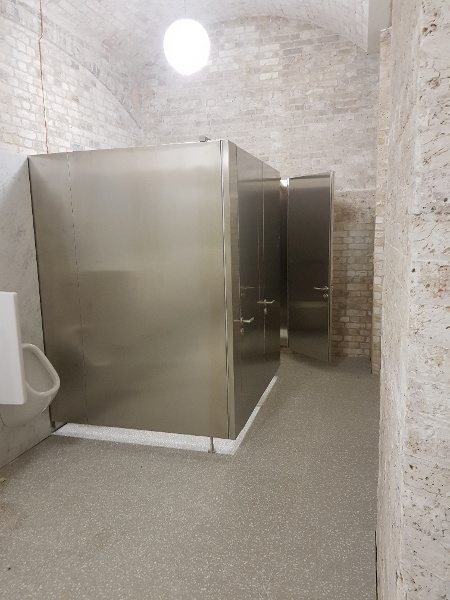 The RAA's choice of brushed stainless steel surface gives an individual classic design to this washroom facility. We have been specified for lots of other prestigious buildings included the TATE and Royal College of Art. 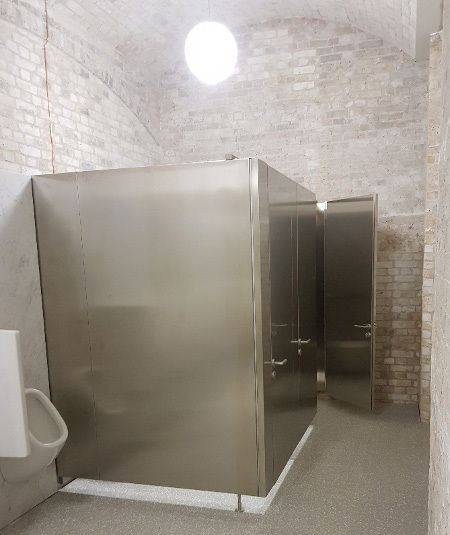 We have also supplied and installed lots of stainless steel cubicles in our 50 years and know exactly how to please each individual client. Two rows of female cubicles and two male cubicles plus urinals. Space was tight within the male washrooms so in this case of free-standing corner solution the rectangular stabilizer is positioned at the front in classic design. The ceilings were also arched which added more complexity to the design and layout. The masonry work was unusual being exposed brick. This really complemented the stainless steel and gives an overall raw and modern edge. How do you think this project is pushing design forward? What makes it special? : The smooth-surfaced front with welted doors, concealed edges and supporting legs produces a sophisticated design that appears to float above the ground. The choice of metal surfaces gives an individual classic design to any washroom facility. Kemmlit manufacture, supply and install.